The Meguiar's Foam Sanding Interface will serve as a soft cushion between your backing plate and a Meguiar's Foam Finishing or Sanding Disc. Simply pair it up with the same size backing plate and Foam Finishing or Sanding Disc and you're ready to detail! 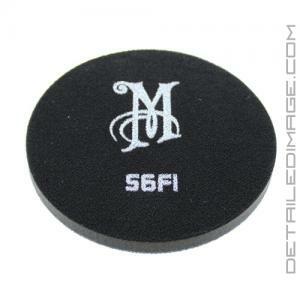 You will be amazed at the improved results while sanding and polishing using this pad. The foam pad improves the disc's ability to follow the curves and contours of a vehicle, while allowing you to correct deeper imperfections with ease. This pad features a hook and loop backing so you can easily and securely attach it to any backing plate and any of the Meguiar's Unigrit Sanding and Finishing Discs. Meguiar's also recommends using this Foam Sanding Interface with the Meguiar's Professional Hand Pad for safe, even and thorough usage. 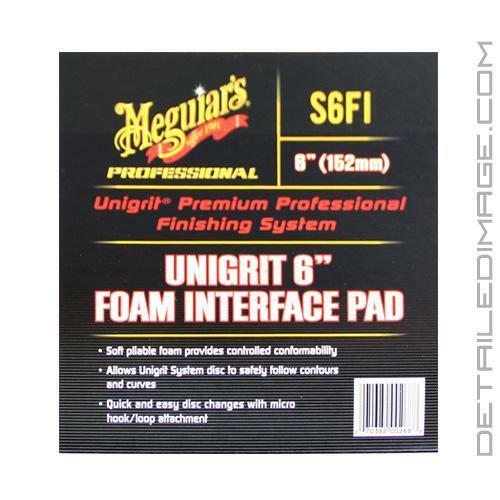 If you are looking to get smooth, uniform results on all your sanding and finishing projects grab yourself a Meguiar's Foam Sanding Interface to pair with you Meguiar's Foam Finishing Disc's. Allows Unigrit System disc to safely follow contours and curves. Quick and easy disc changes with micro hook/loop attachment. Safe defect removal and adjusting Unigrit Sanding Disc aggressiveness. For texture matching, defect removal and scratch refinement procedures. Apply loop side to the hook side of the S3BP or S6BP Professional Backing Plate while making sure they are properly aligned. Apply a loop side of the Unigrit Sanding or Finishing Disc to the hook side of the S3FIS or S6FIS Foam Interface Pad while making sure they are aligned together properly. Use Unigrit Sanding Disc or Finishing Disc according to directions. To remove sanding or finishing disc, insert thumb in between Interface Pad & disc and pull gently to avoid potential damage to foam.